2008-UP Allows the installation of FLH style Harley Davidson® stock hard bags, our stretched bags or leather bags onto your Softail, Fat Boy,Heritage The Ballistic Back-Up USB Power Supply and Emergency Jump Start is the smallest, lightest handheld portable jump starter for motorcycles. 2009 - 2013 Baggers, Dual Exhaust Stretched Saddlebags MB-1000SB / Dual Exhaust Street Sweeper Fender. If you like the look of long saddlebags but you don't want to scrape the bags this is set for you! 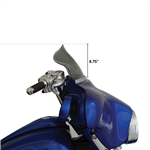 Saddlebags feature a full 2.75” extension across the entire bottom of the saddlebag Extensions give bags added space, as well as a true custom look Dual exhaust cut-outs. 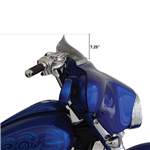 1997-2008 Bagger Kit, Dual Exhaust Stretched Saddlebags / Fender Cover. Unlike competitors,The magnet does not attach to the device-and it is strong enough to withstand the pressure of high speed when riding! 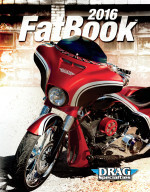 Klock Werks has designed easy to install, motorcycle model specific mounts that incorporate the iOmounts™ system! You simply install the mount to your bike with included hardware, attach the razor-thin iOadapt stainless steel adapter to your device, and instantly connect to the powerful iOcore magnetic carrier. No special case needed!